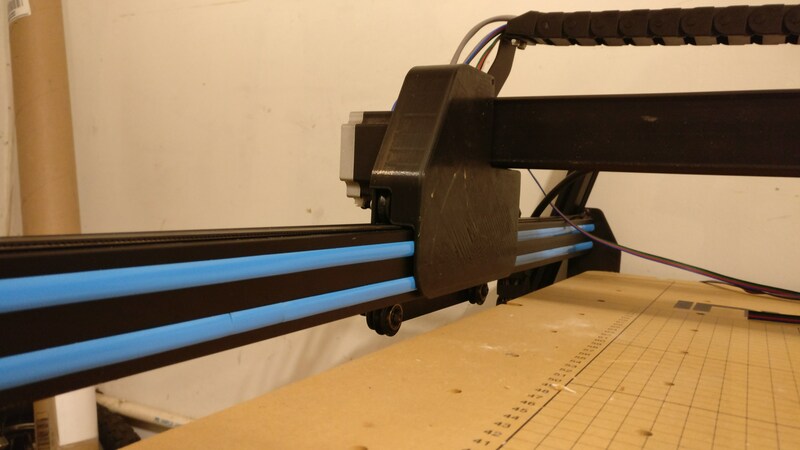 Here is my fully customized X-Carve! I originally bought it in 2015 but I didn’t do much with it during College. Fast-forward to 2017, I found myself wanting a machine capable of handling demanding production run, better 3D carving, and to do it all on an Open Source platform as to make future expansions possible. I quickly ditched the TinyG GRBL shield w/Arduino Uno and pick up some control cards from Mesa, specifically the 7i76/5i25 card combo. With Mesa cards, you need to run LinuxCNC or MachineKit to talk to the FPGA controlling the CNC. so I download a 32-bit kernel of Linux (Wheezy 2.7.14) to an older dual core Pentium II PC with a trivial amount of RAM. 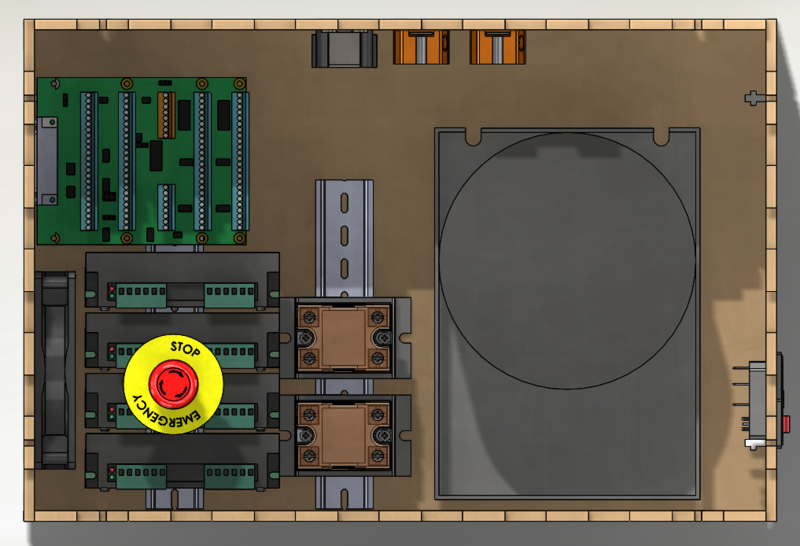 Top view of the electronics. 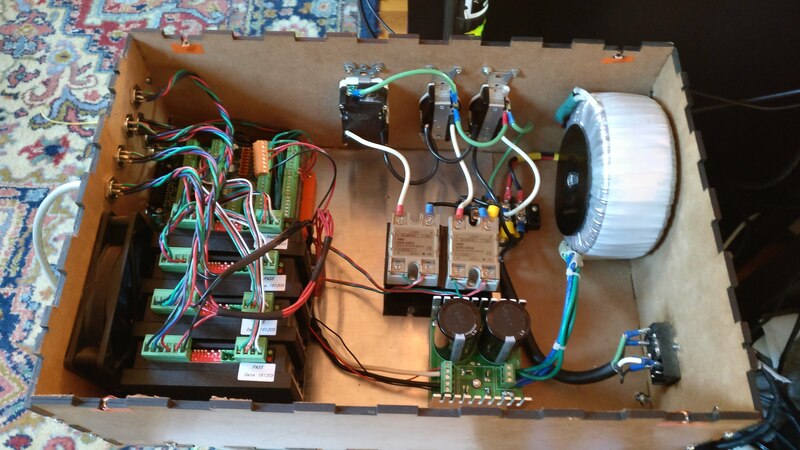 The stepper drivers, Mesa board, and relays are mounted on 35mm din rail. The toroidal transformer was removed from the metal plate it came with. This was done to make more room for mains wiring and terminal blocks. The front grille came out really cool. If I were to make this box again, I’d add an outlet to help get the heat out. 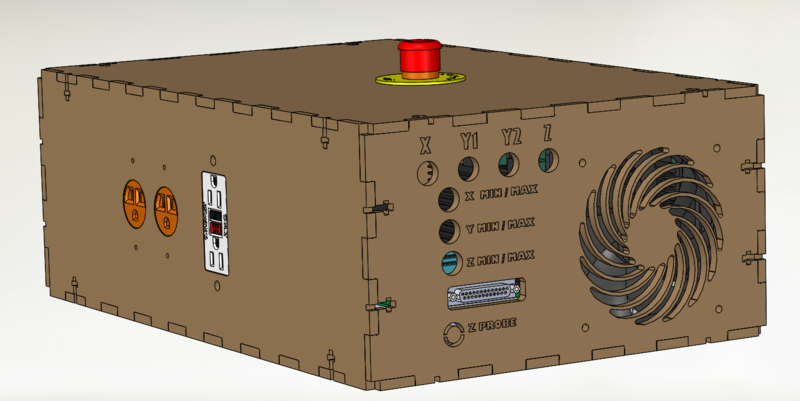 Isometric View of the Electronics Enclosure with sub assemblies included. 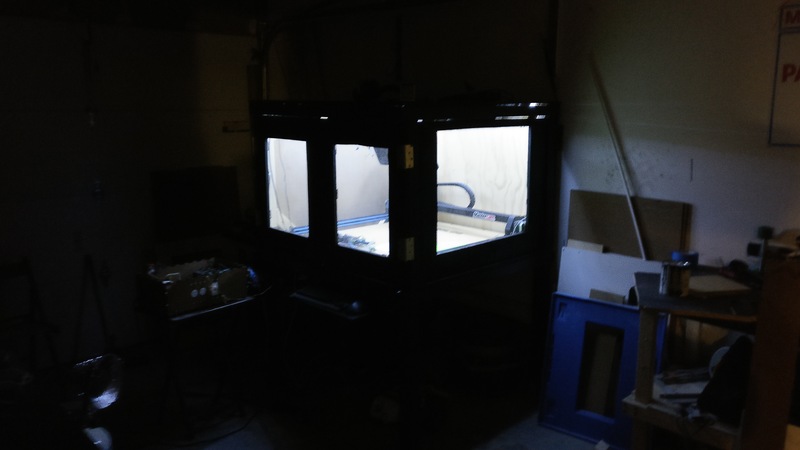 30′ of LED strip is tacked to the inside of the CNC enclosure. I added some T-Slot covers from a CR-10 3D Printer to help keep chips out. This drastically reduces how long it takes to clean the machine. 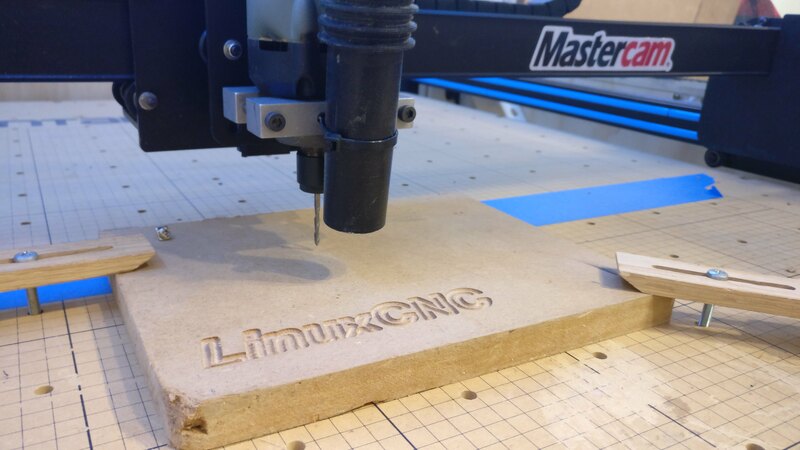 If you’re considering this upgrade, you should know that LinuxCNC is VERY picky about the computer hardware you run it on. My advice advice to you would be to go read through all the forum posts on linuxcnc.org. Pay special attention to all the information about GPU compatibility. Also, disable your computer’s power saving features and start with a computer that has only the bare essentials in it. Getting stuck for three weeks because you didn’t notice how the after-market sound card was trashing your latency numbers isn’t a good time. I hope you enjoyed this article. 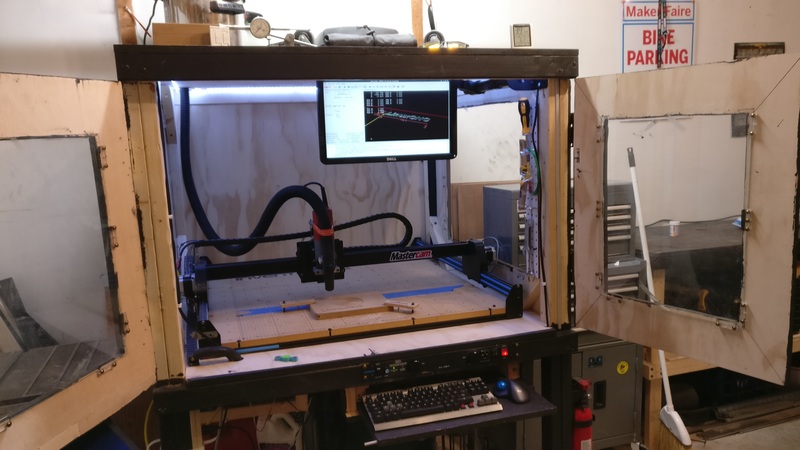 If you have any questions about my X-Carve or LinuxCNC, you can comment here or email me, and I’ll do my best to help! Okay, so I caved. 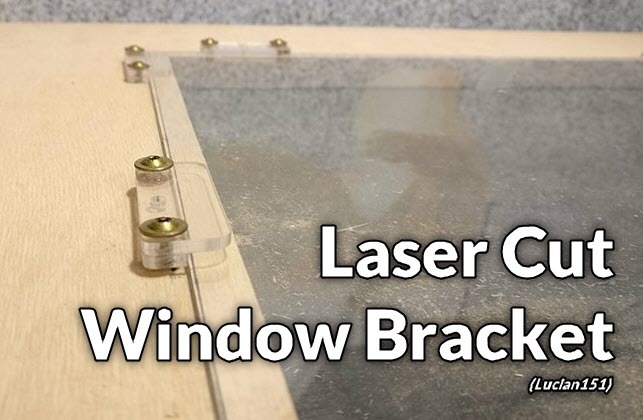 The previous CNC machine was sold to pay for a new Macbook back in 2014, and it was collecting dust for a while so I didn’t feel too bad about getting rid of it… I saw the need to get a new router when I started brainstorming for my Full Body 3D Scanner V2…. I wanted to cut the huge pieces that were over 2′ in either direction on this new router. 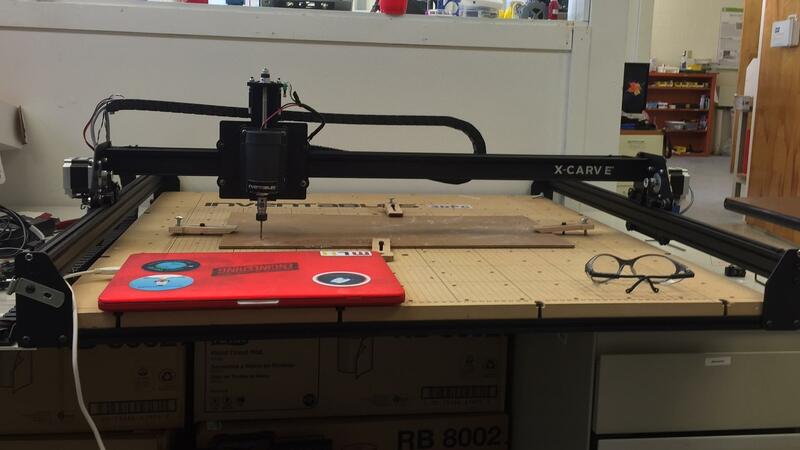 I eventually decided to pre-order an X-Carve kit, and assembled it over a few weeks with my girlfriend! It works very well, my only gripe is that the GRBL firmware it runs off isn’t exactly real-time. 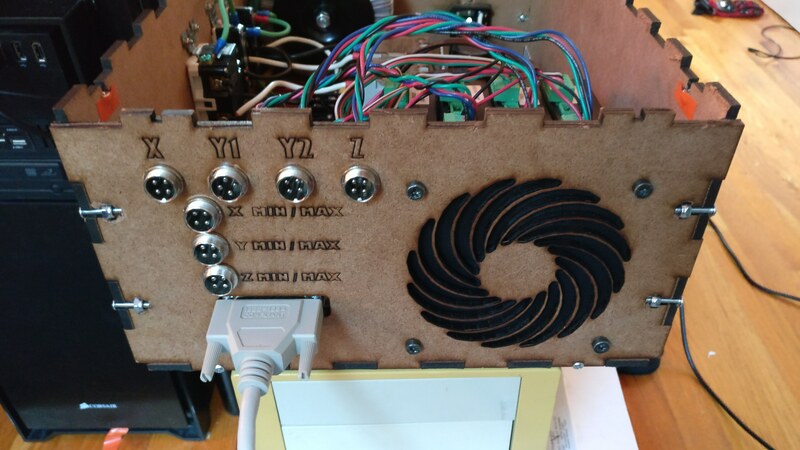 G-code is streamed to the controller through a local server on my computer that relays g-code generated from the X-carve website. 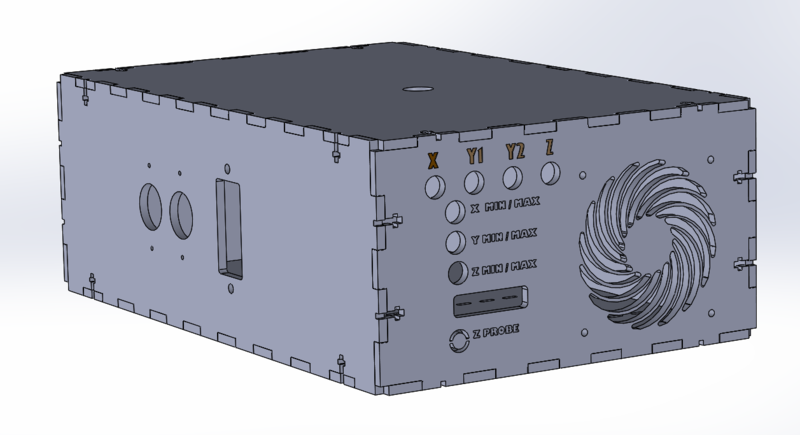 It’s very complicated to make this router 3D carve, but Mastercam should be able to create g-code for it!